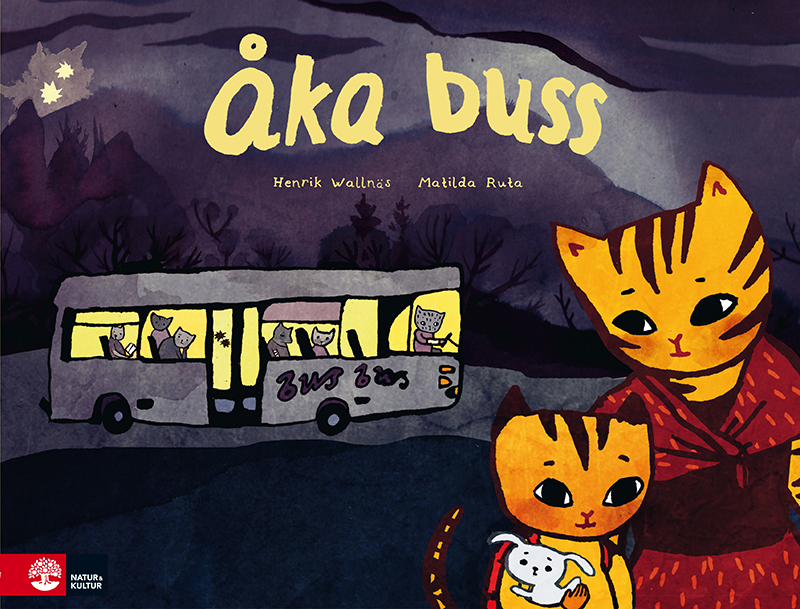 The Bus Ride is a story about a journey from home to somewhere unknown. It takes us through fire-colored mountains and over an enormous ocean. Dad and grandma are left behind. Rabbit is hugged tightly and mom’s gaze is full of worry. A low-key dramatic and multilayered story about escape and loss, yet also about reunion and hope. This is a poignantly topical picture book. Every year millions of children flee from war and poverty, everyone with different experiences and stories to tell with them. This is one of those stories.